As mentioned last week, from time to time we will decode the true meaning of a parable or other important section of the Bible. Again, I must stress that the Bible itself is a book of Initiation, Spiritual Growth and Metaphysics - there is not a single word of theology or "religious" significance in the entire Bible. The person known as "Jesus" cam to Earth to teach the teachers, who would teach other teachers and ultimately all humanity how to live a happy, health and abundant life, and most importantly who they really are, their true destiny and how to realise it. Of course events took another course due to circumstances prevailing at the time, and the true meaning of these teachings were largely lost for two thousand years. The Bible was written in such a way, using symbolism, codes and metaphors, that only those who are ready to understand it could do so. This is the reason why those who seized these great works had no idea of the true meaning, turning them instead in to a religion and method of control over people instead with the results that history has well documented and need not be repeated here today. My own purpose in referencing the Bible is not in any way for religious purposes, but rather to show those who might be religiously inclined, often due to upbringing, the true meaning behind the Bible, and also to interpret the many valuable lessons for life on Earth and Spiritual Growth which are of great value to everyone. This week we will look at a Parable that teaches how to use the power of the Subconscious Mind, which is appropriate also in the context of the Abyss Brainwave Entrainment track. This parable illustrates the power of the Subconscious Mind to "germinate", grow, a thought form, where it can eventually manifest as the object of the Thought Form, after which it can be harvested and experienced. This is a process that we have previously discussed many times in this newsletter. The "ground" is a metaphor for the "garden" of the Subconscious Mind where seeds, are sown, either consciously or unconsciously. These "seeds" are the Thought Forms that we either create consciously, as with using the Law of Attraction, or, as with many people these Thought Forms are produced unconsciously due to observing and often reacting against particular events. The parable is saying: "should sleep, and rise night and day, and the seed should spring and grow up"
This means that once the Thought Form, the seed, has been sown in the fertile ground of the Subconscious Mind, of which most people are unaware, it will first germinate, and then sprout, and finally develop in to a something experienced during waking reality. The parable goes on to say "he knoweth not how". This explains the fact that although these situations, these fully developed Thought Forms are being experienced as circumstances, people have no idea where they came from, often ascribing them to such superstitious notions as "luck", "chance" or"fortune". So the fertile "ground" of the Subconscious Mind is where either "good" seeds are sown by consciously using The Law of Attraction, or "bad" seeds are unconsciously sown by reacting to events perceived by the senses, resulting in "weeds" cluttering up the life of the person. The fertile ground of the Subconscious Mind never judges which seeds are "good" and which seeds are "bad", the garden of the Subconscious Mind" will accept, nurture and bring the seeds to fruition regardless, even though "he knoweth not how". Jesus goes on to say "But when the fruit is brought forth, immediately he putteth in the sickle, because the harvest is come." By this he means that once the Though Form has manifested, the seed of Thought Form has become a fully manifested fruit which, its task complete, may be harvested and enjoyed. The Thought Form has grown to maturity in the Subconscious Mind, resulting in a manifestation that exists at all levels of Energy and Vibration of the Universe, from The Source, The First Cause, God, all the way out to the physical Universe of matter where it is now being experienced. "And should sleep, and rise night and day, and the seed should spring and grow up"
The same applies while listening to Abyss, which lowers brainwave frequencies to levels comparable to, and even lower than those just before and after sleep. Abyss has the additional benefit of lowering brainwave frequencies to an even lower state, even equivalent to the sleep state, but while remaining fully conscious. In this state we are very close to our Subconscious Mind where seeds, Thought Forms, can be very effectively sown. So by sowing the Though Forms or "seeds" at this time, the Subconscious Mind most readily accepts them, and will work relentlessly while the physical body and conscious Mind sleeps or otherwise in abeyance, to bring the Thought Forms to fruition. One of the main point behind this parable is to stress the fact that although we may not understand the unfathomable depths and powers of the Subconscious Mind, it nevertheless exists, is connected to all other Subconscious Minds though the Universal Mind, and through which the object of our manifestation conscious or unconscious, intended or not manifest. 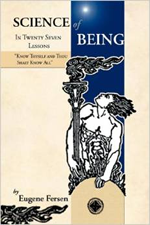 In summary, this parable teaches the great truth about the existence of the fertile garden of the Subconscious Mind, and its infinite powers to accept a "seed", a Thought Form, particularly just before sleep or in an altered state of consciousness, and to do whatever needs to be done to bring the seed to fruition where it can be experienced, although most people still "knoweth not how". 2. We may sow seeds, Though Forms into this garden either be consciously, in accordance with our needs, or unconsciously by simply reacting to events around us, or by dwelling on unwanted situations perceived by the physical sense of conscious Mind. 3. The best time to sow seeds is just before or just after sleep, or when in an altered state of consciousness such as meditation, or for example listening to an effective brainwave entrainment track. 4. The garden of the Subconscious Mind toils relentlessly to do whatever needs to be done, either influencing the body in the case of healing, or the Universal Mind in the case of manifestation of other external wishes, to germinate the seeds, tend to them as they sprout, grow and develop, soon bringing them to full fruition where the harvest may be experienced. 5. Although most people "know not how" this process works, all that matters is that it does work, and it is simply our task to experience the fruits of our thoughts and therefore Thought Forms. 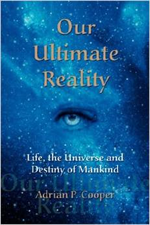 Our Ultimate Reality describes this process in great detail, and how you can benefit from it in your life.